Beloved Baby Wrap Beloved Windy Seeds 7 – gentle breath of pinky windy seeds. 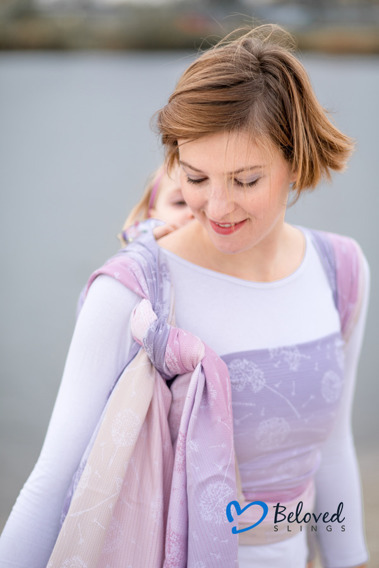 Beloved Baby Wrap Windy Seeds - gentle breath of pinky windy seeds. This jacquard design (pink, violet, beige) is made of 100% combed cotton, 260 gsm (after washing/shrinking).